Vassiliki is responsible for the leading of the Market Management team for Greece, Cyprus and East Adriatic. With more than 10 years of experience in digital and technology companies, Vassiliki is an expert in driving and improving businesses’ performance of hoteliers. Prior to this role, Vassiliki headed up the global distribution and operations for Tink Labs, an IoT hospitality solution for hoteliers. She has also held position as General Manager at Digital Ecosystems and at the Royal Olympic Hotel, Athens. 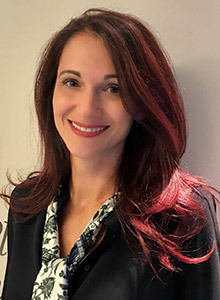 Prior to this, Vassiliki Mavrokefalou, held the position of Director for Market Management Greece, Turkey and Cyprus for Expedia Group from 2011 to 2015. Vassiliki lectures in Marketing Communications & Digital Marketing at the BCA College. She holds a master’s in digital marketing from the University of Plymouth and a post grad in Business Administration from the University of Leicester.